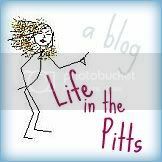 Life in the Pitts: My sister in law hates me. Probably. So you're saying that's not your pet name for her?